Summer is in full swing on the farm and that means less time for sewing and blogging. 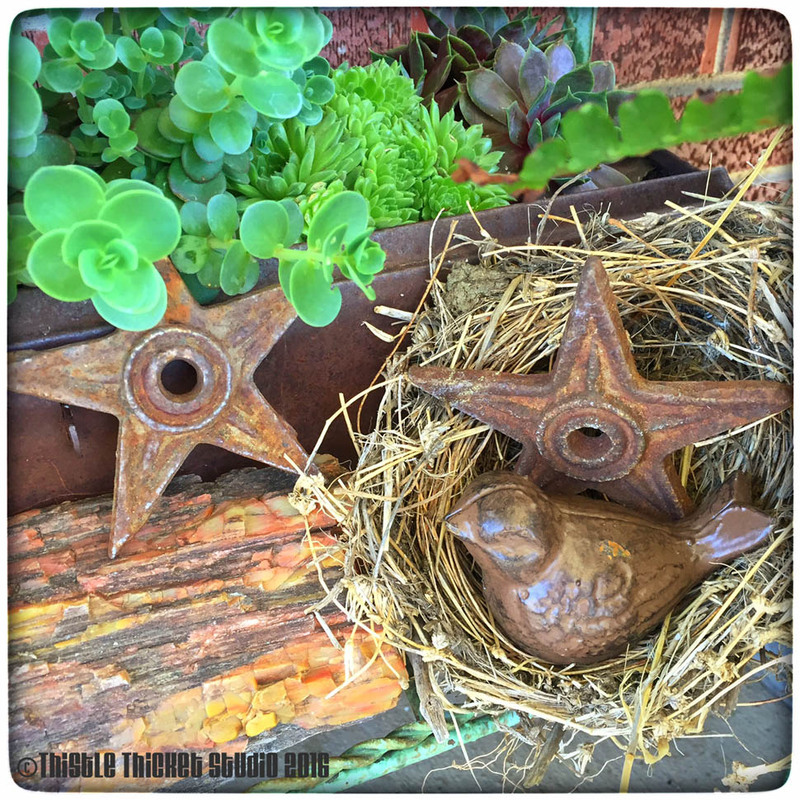 I thought I'd share what's up down on the farm before I get busy with wheat harvest. With all the rain we have been having, my days seem to be filled with mowing and yard work. This morning while mowing, I found two birds nests that had been blown out of the trees and were laying in the grass. 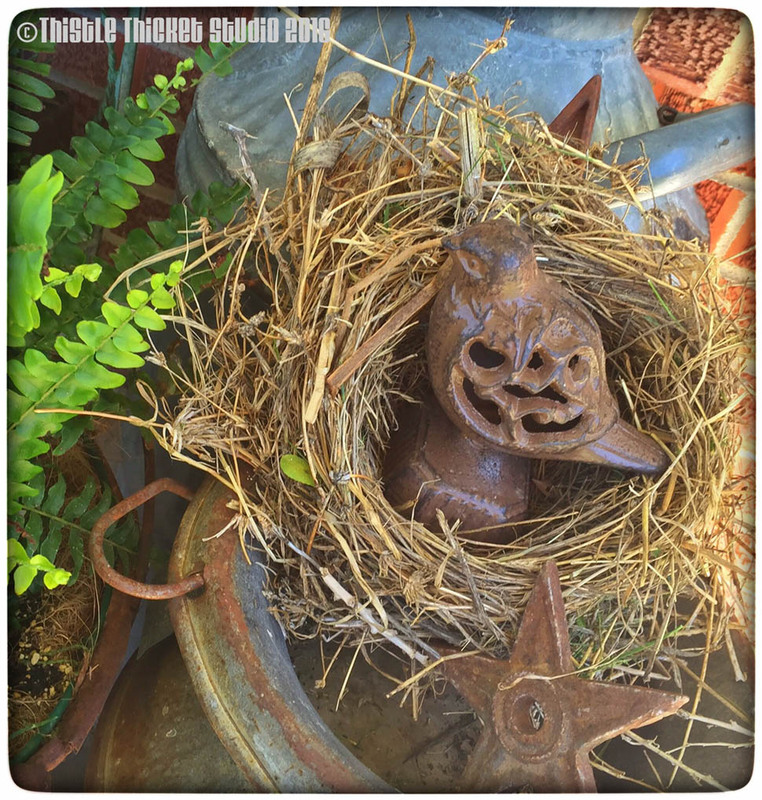 I love the texture and tucked both nests into my back door patio décor. I'm just hoping the field mice don't decide to make them their new homes! To hinder any house squatting from happening, I nestled a couple of metal birds and stars in them. I don't mind mowing if its not too hot and the insects aren't biting. 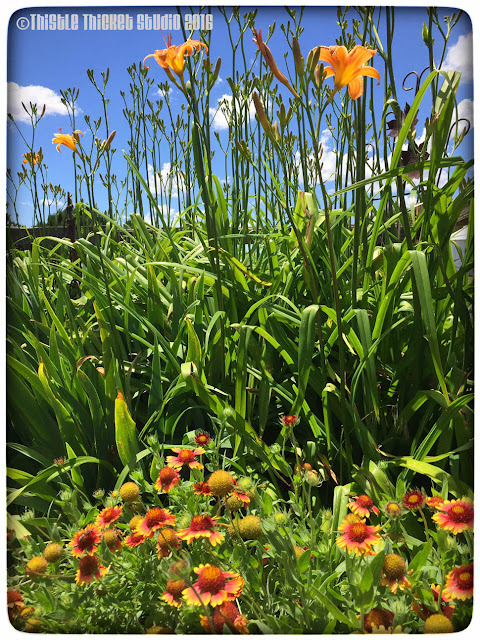 It gives me time to enjoy the flowers and shrubs in my yard. 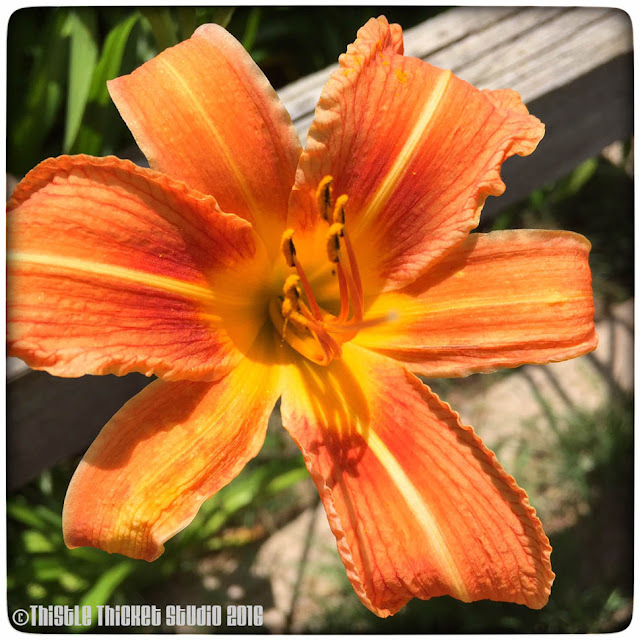 The daylilies are just beginning to bloom. They look so pretty next to the wild gaillardias or what we call Indian Blanket. These lilies are loving all the rain and I should have quite the show when all those buds bloom! Mix first five ingredients; make into balls. Place in casserole dish. Mix tomato soup and water together and pour over meatballs. Season. Cover casserole with foil. Bake for 1 hour and 30 minutes at 350 degrees. Serves 4-6. 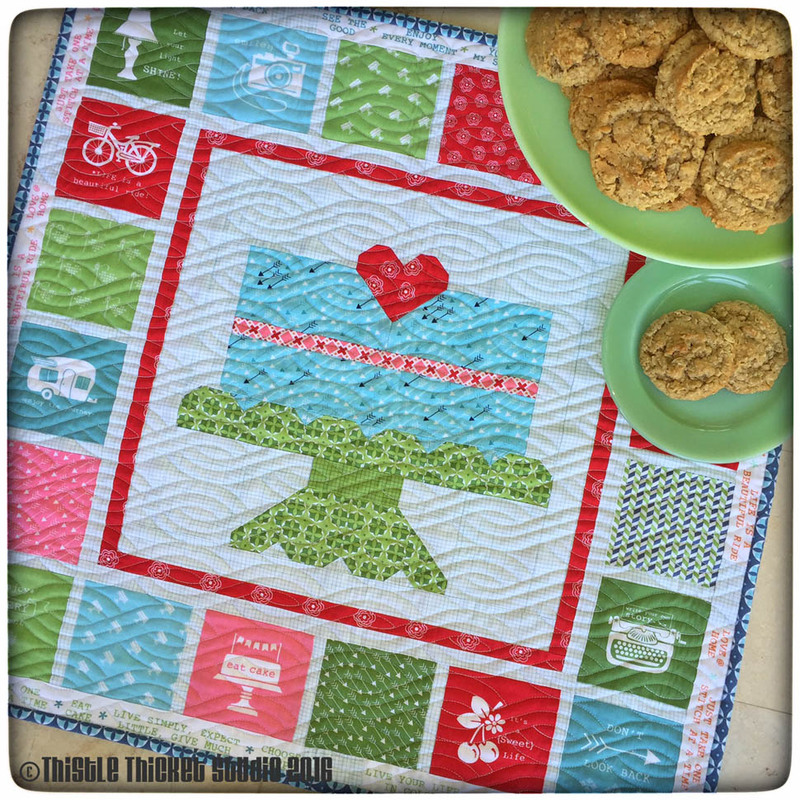 I have been able to sneak a little quilting into my day as well. I've been working on my quilt guild medallion challenge quilt the last few days as I am a couple of months behind now. Round 3 is flying geese. 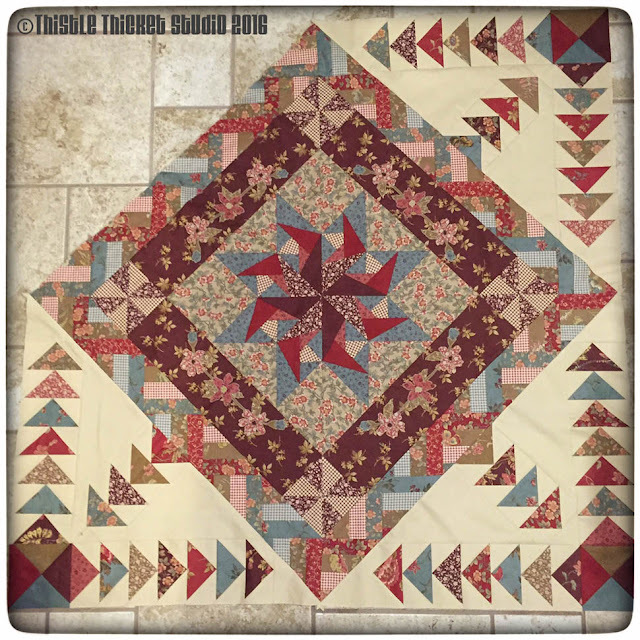 To challenge myself, I decided to set my center on point and then add the flying geese. 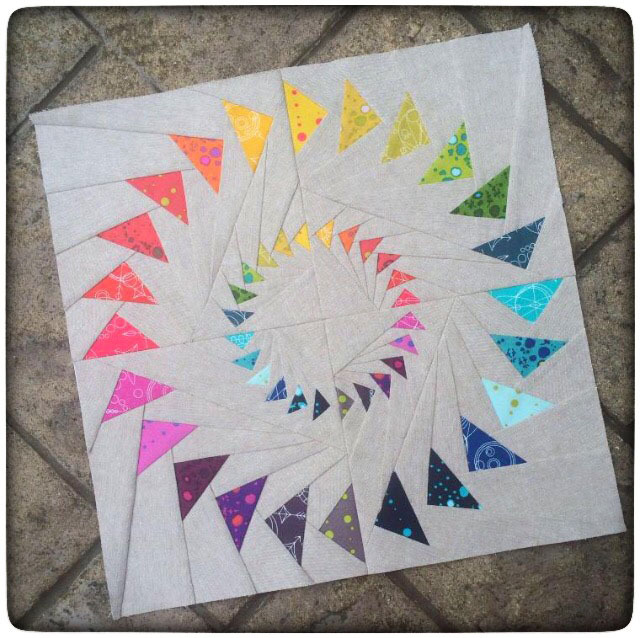 The math took a little time - and all the paper pieced flying geese - but I'm liking the results so far. Only one more corner to go! 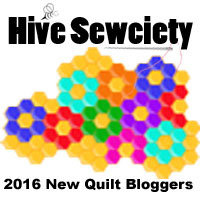 And I've been doing some secret sewing for a surprise that Lori Holt of Bee In My Bonnet has planned for Friday. 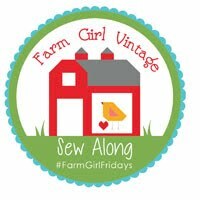 Hint - its Farm Girl Friday again! 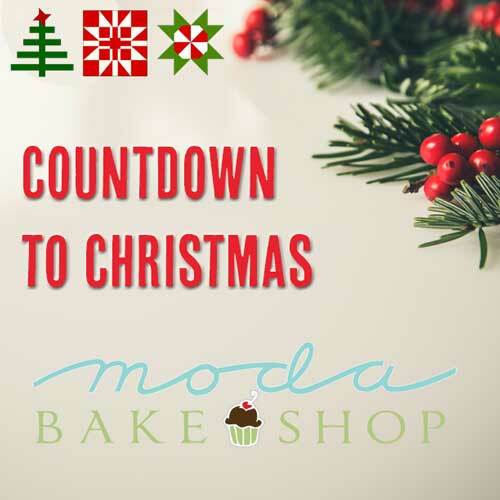 So be sure to stop back by on Friday for the reveal! May was a crazy month in this farmhouse as we've been a bit disconnected. With one of the many spring storms that rolled through western Kansas in the last month or more, our house was hit by lightening. We've lived on the farm for more than 22 years and it was a first for us. The lightening entered through our cable TV dish and fried our satellite TV equipment, wifi and computer. Luckily, nothing else was damaged and the house didn't catch on fire. It happened at 4:45 a.m. The loud boom woke my hubby up with a jolt. I, on the other hand, slept blissfully through it. Zzzzzzzzzzzzzzzzzz. So finally, after more that a month, I have a new computer up and running (thanks to the family computer expert, my brother, who came home for Memorial weekend and assembled my components). I managed to keep up with most things through my phone (which my hubby thinks is permanently attached to my hand now) throughout this whole ordeal. Technology withdrawals - it's a real thing people! Ha, ha! So now I'm playing catch up. And one of the things I wanted to participate in this last month was a movement started by another quilt blogger, Lindsey Rhodes, called "May Is For Makers". 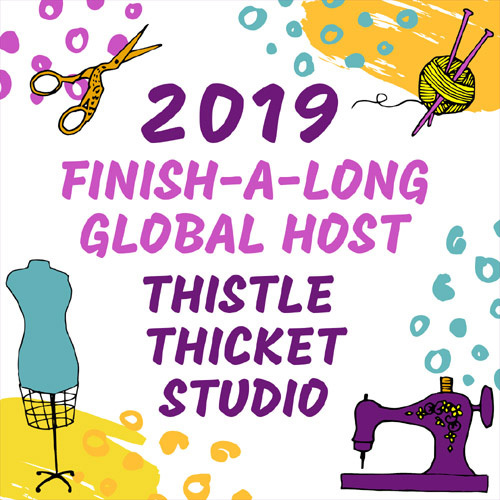 The goal of the "May Is For Makers" movement is to support independent pattern designers by purchasing one pattern each week during the month of May. There is so much free stuff on the internet that it has devalued the work of pattern designers, and Lindsey wanted to show them that we appreciate all the hard work that goes into designing, writing, testing, photographing, publishing, etc. 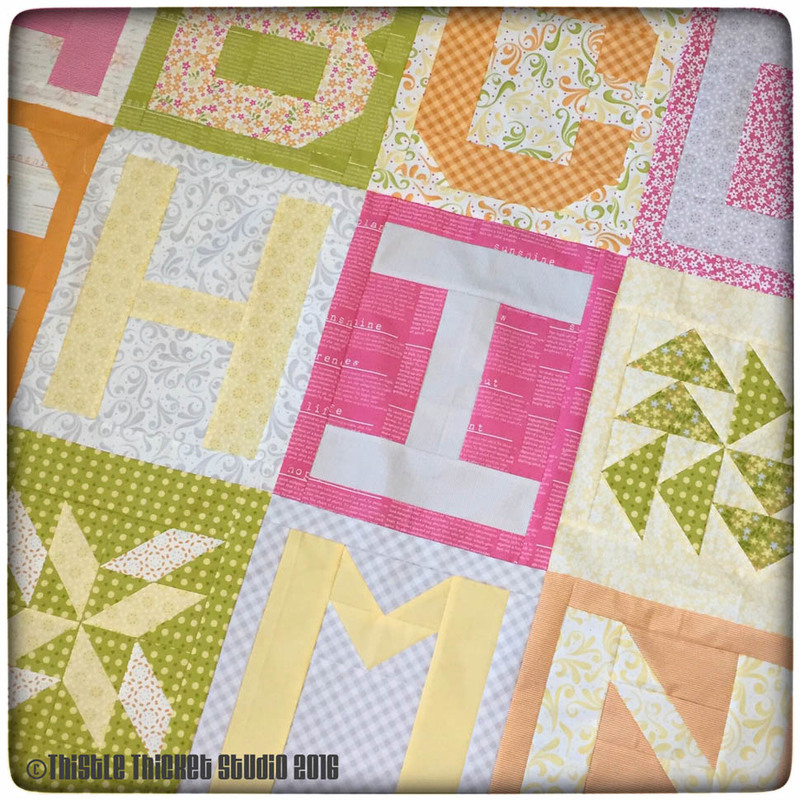 patterns for the quilting and sewing community. 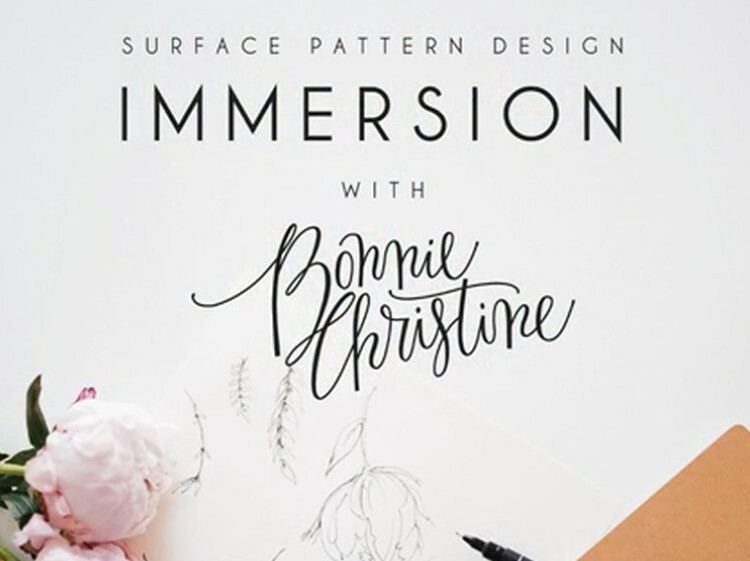 I know I'm guilty of finding free patterns online or drawing up my own pattern inspired by a photo I've seen online. 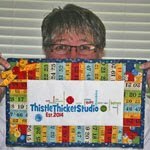 Heck, I've even shared a few free patterns here on my blog. 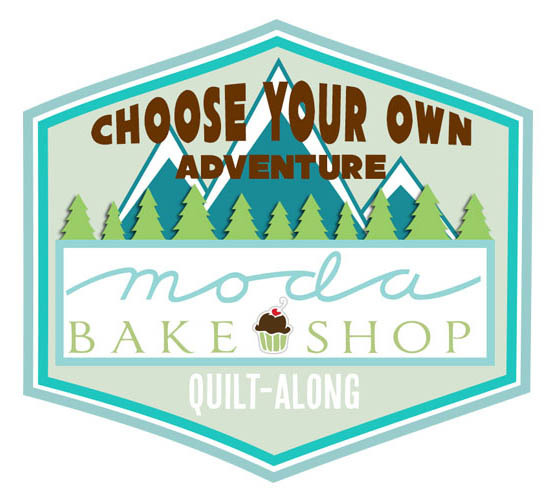 But I aspire to design and sell patterns, so I wanted to support the industry just as I hope, someday, other quilters and sewists will support me. So today, I started surfing Craftsy for a few patterns I've admired and I purchased five - one for each week in May. Hey, better late than never! 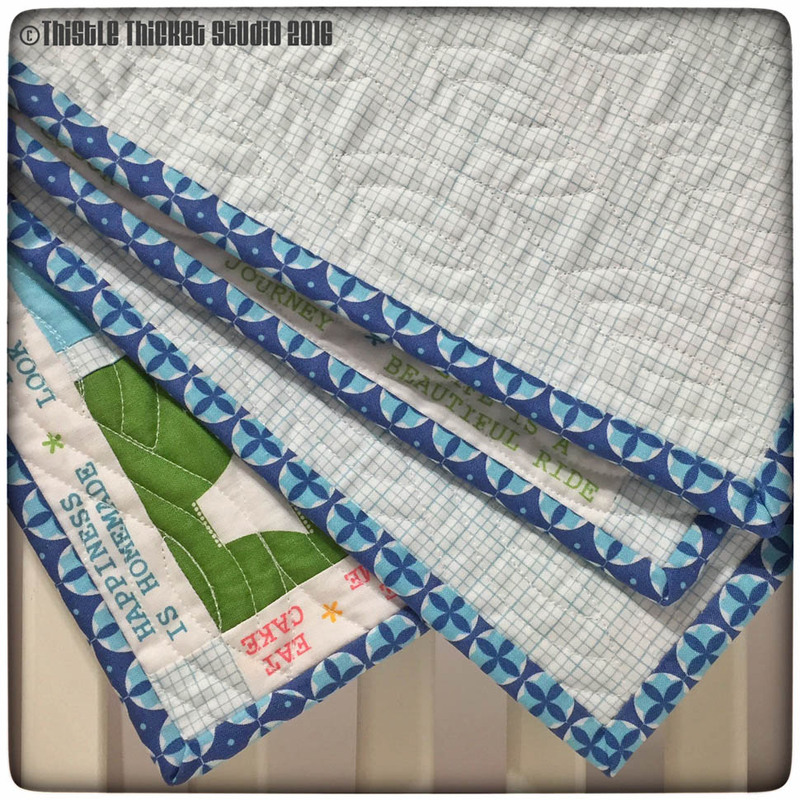 I ended up gravitating toward paper piecing patterns and they are all ones that I can make as mini quilts to add to my collection hanging in my studio. 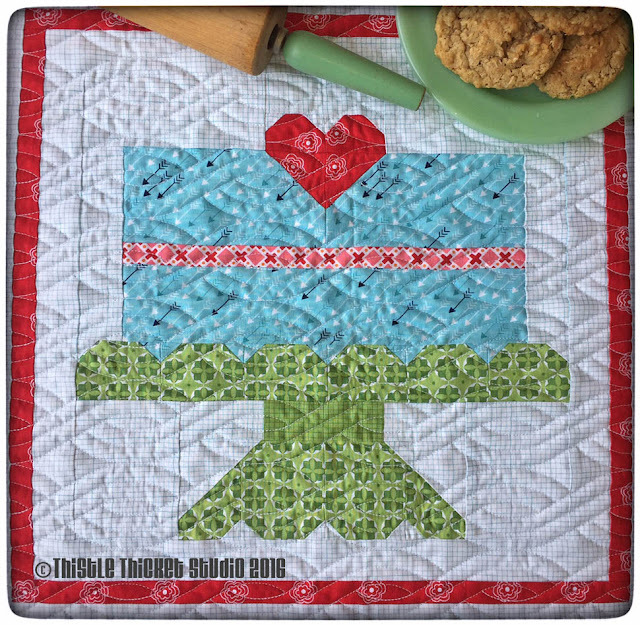 The first pattern I purchased was this "Double Goosed" block by Jeli Quilts. 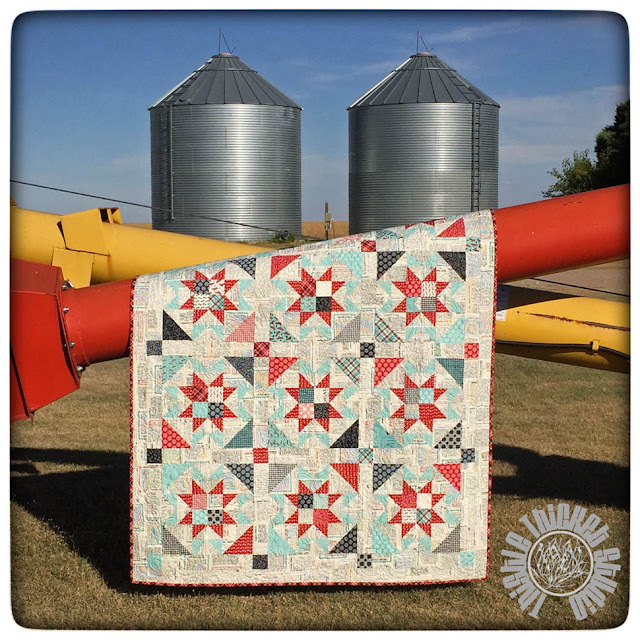 I follow her on Instagram and love her flying geese patterns and have been wanting to purchase one for quite some time, but it took something like this movement to get me in gear. 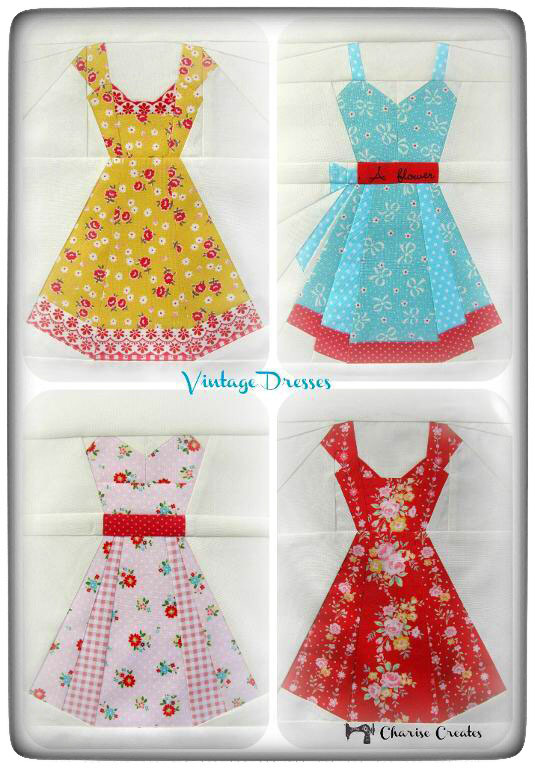 Next, was another cute paper piecing pattern I fell in love with on IG: "Vintage Dresses" by Charise Creates. Sew adorable! 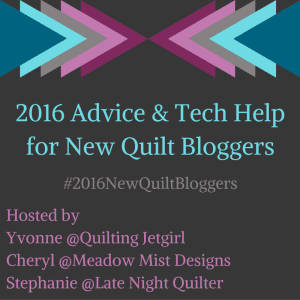 And I definitely needed a sewing machine mini for my sewing studio! 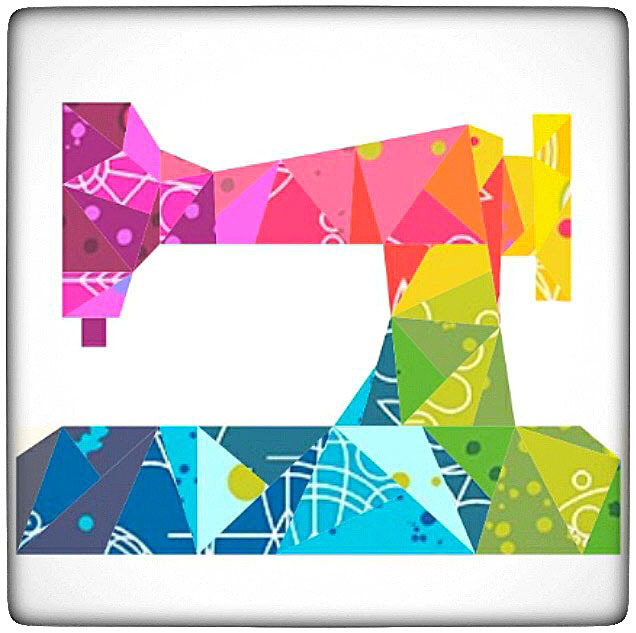 Isn't this "Geometric Sewing Machine" by Quiet Play awesome! 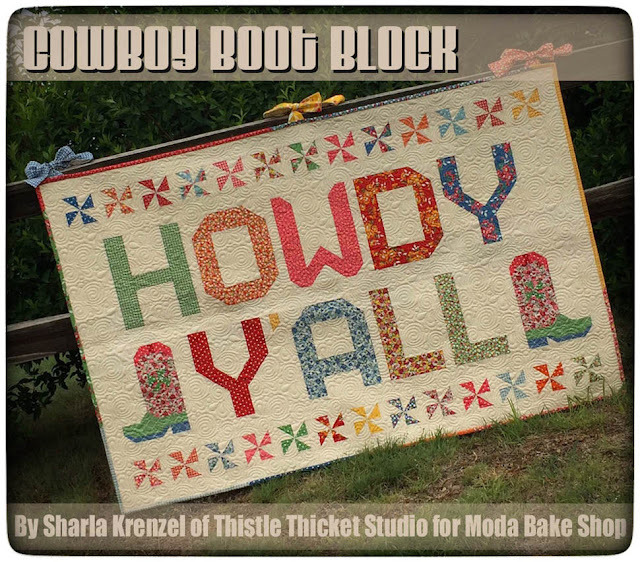 The next two I stumbled upon while perusing the patterns on Craftsy. 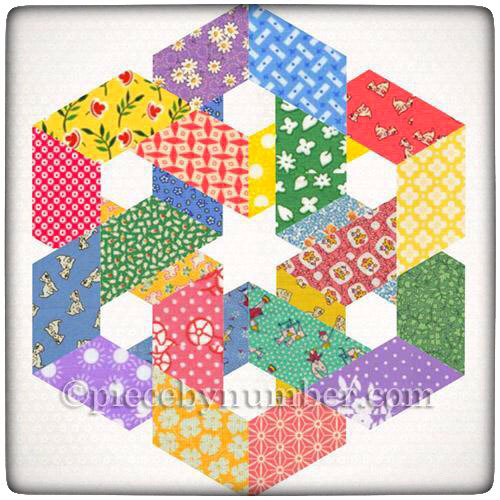 This one is called "Fractal Quilt Block" by Patty Sloniger. 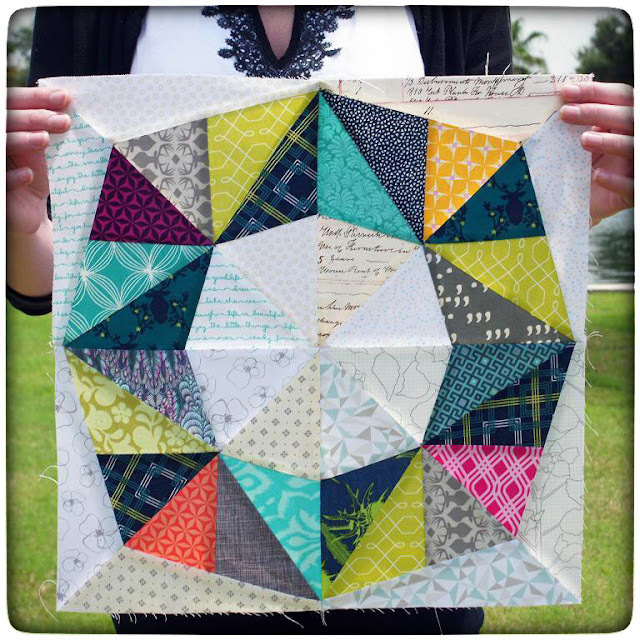 This would make a really cool scrappy quilt, in either prints or solids! And lastly, I found this one called "Hexagonia" by Piece By Number. Again, this would make an awesome scrappy quilt. 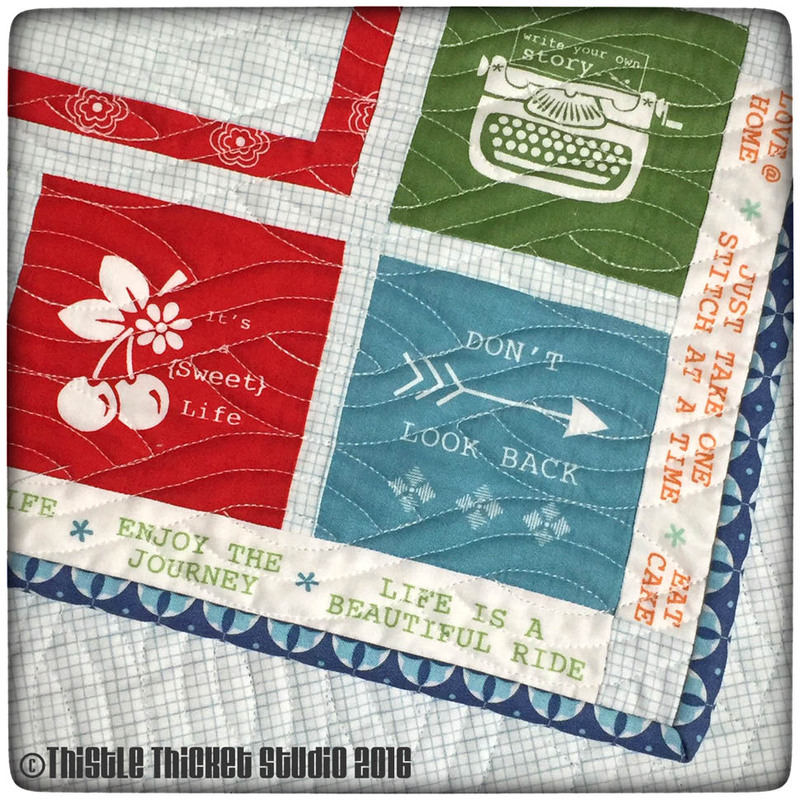 I love this sample picture using 30's fabrics. Thanks to the "May Is For Makers" idea, I have five really cool patterns to add to my collection. And hopefully, one of these days I'll actually get around to making them! But for now, I'll enjoy reading the patterns. On a side note, I've never taken the time to look around on Craftsy. I know, I'm behind the times. But, how cool it was to purchase patterns from the UK, Switzerland, Australia and the US in one transaction! 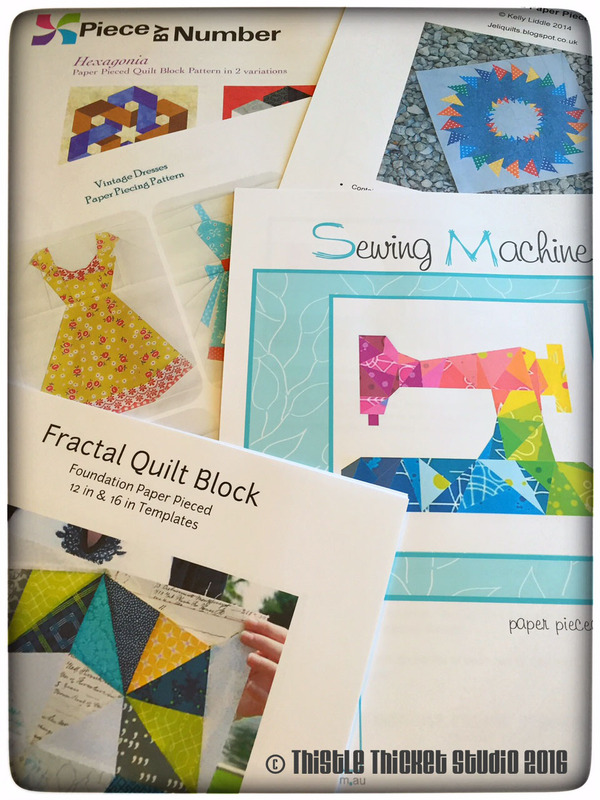 Plus, they are PDF downloads so I got the patterns immediately, no waiting days or weeks for a package to arrive! May is over, but that doesn't mean it's too late to jump on the "May Is For Makers" bandwagon and show some love to our fellow quilters and talented designers. I'm so glad I did!